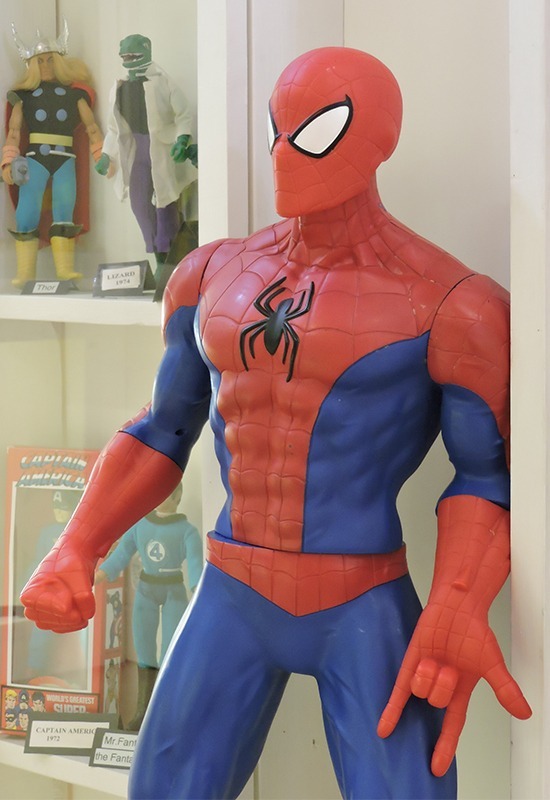 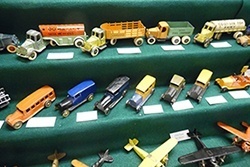 The Fennimore Doll and Toy Museum is featuring several unique displays during the 2018 season. 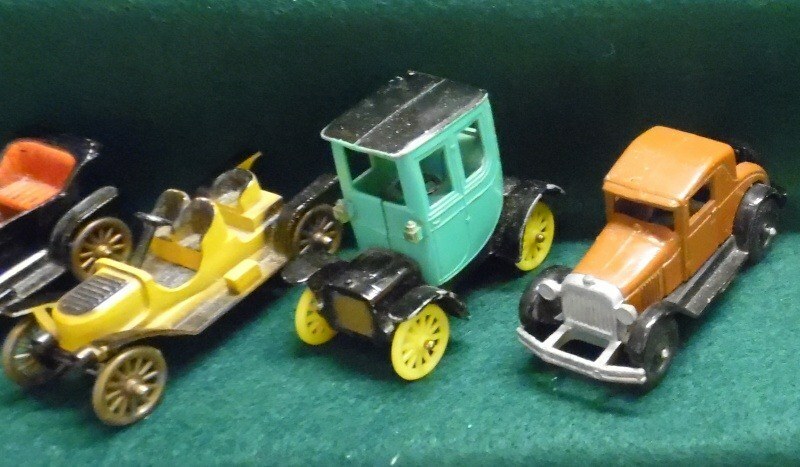 This year we have an excellent collection of Tootsie Toy Cars from the 20's and 30's on display. 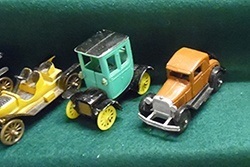 A variety of diecast toys were manufactured in the 1920s and 1930s including trains, cars, trucks, military vehicles, aircraft, and pistols. 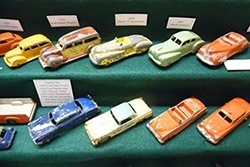 The vehicles often had white rubber tires and were favorite toys for many children. 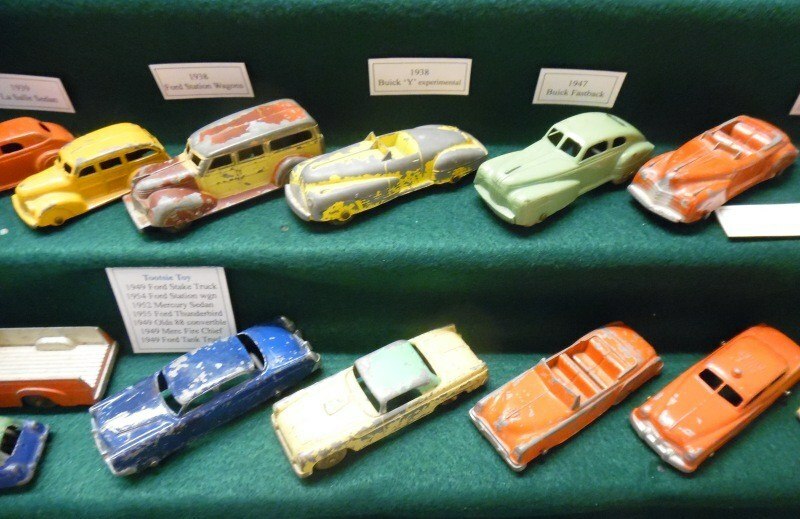 This outstanding collection is on loan from Robert Taunt, La Crosse WI, and we thank him for sharing his collection. 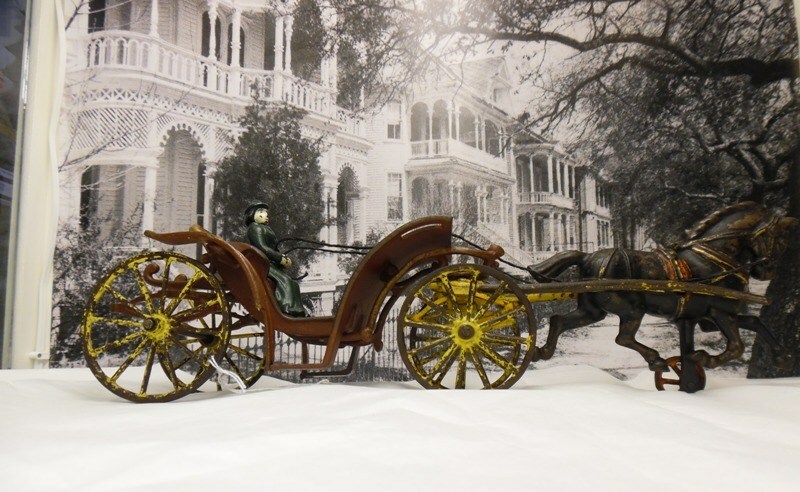 Our featured dolls are Madame Alexander and Steiff dolls. 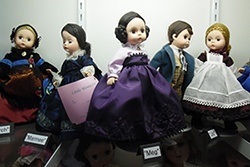 Madame Alexander dolls are widely recognized for replicating famous personalities and characters in books, films, music, and art. 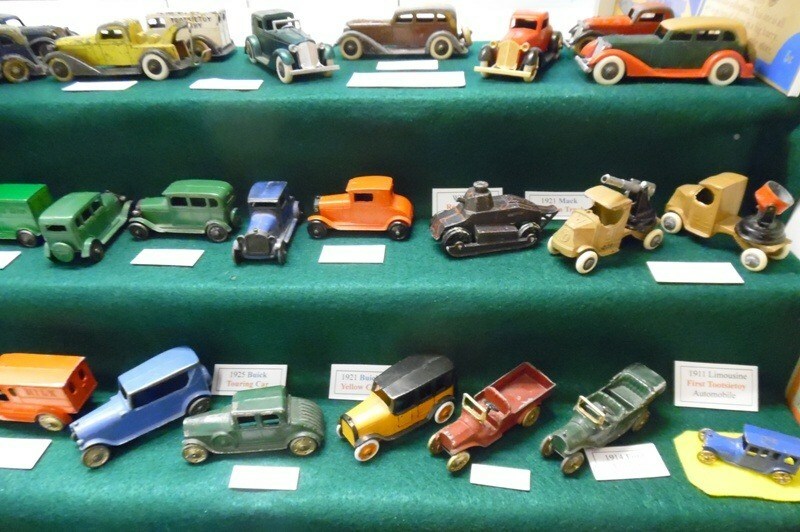 Steiff dolls have been popular since the early 1900s. 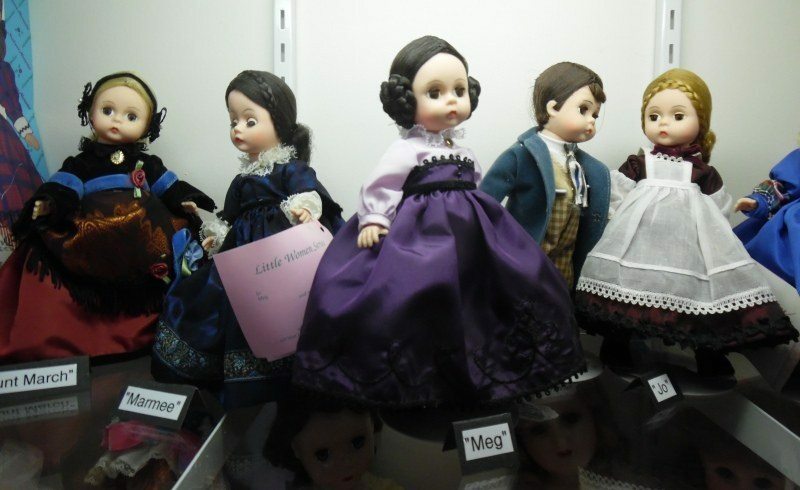 Stop into the museum and see all our featured dolls and toys for 2018. 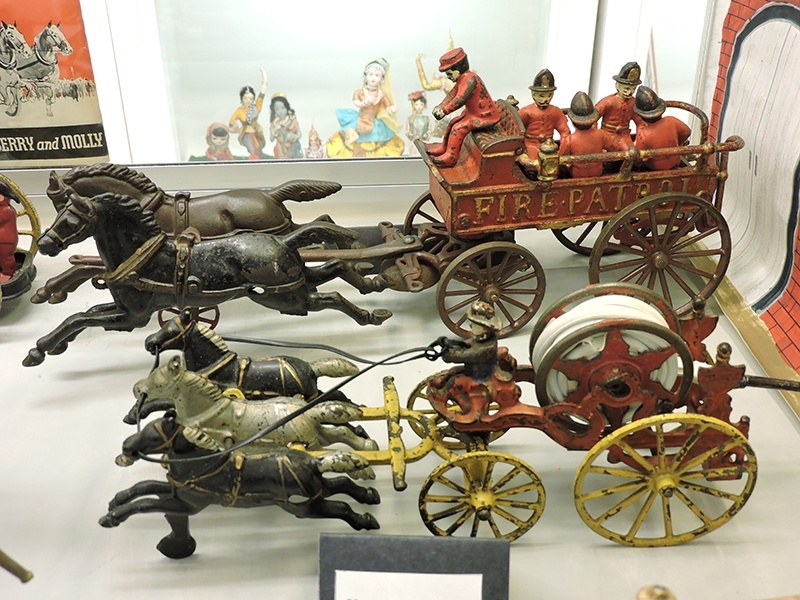 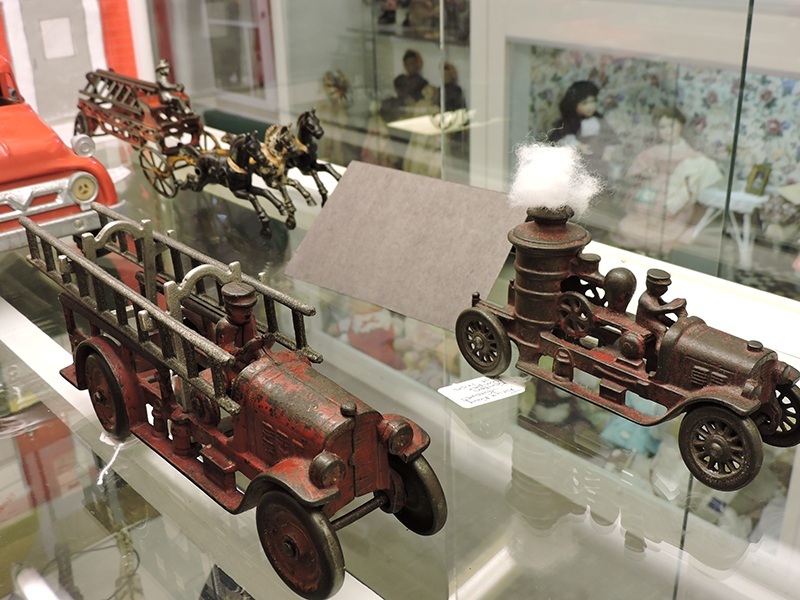 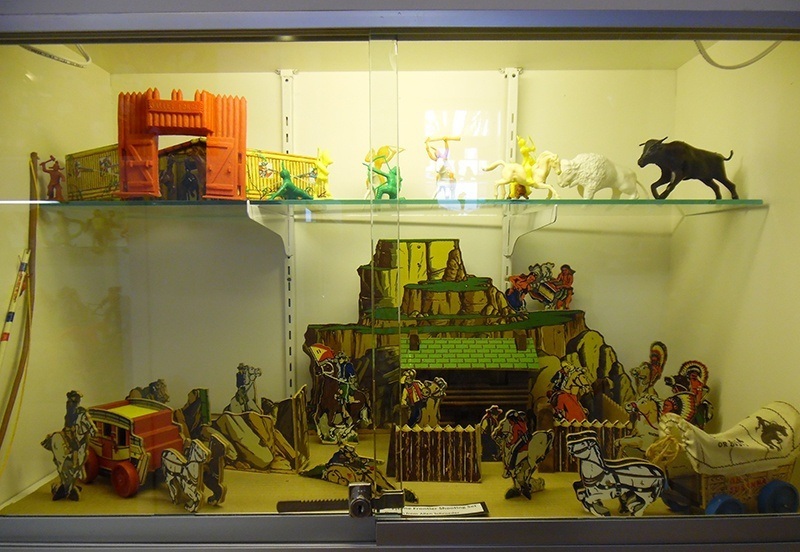 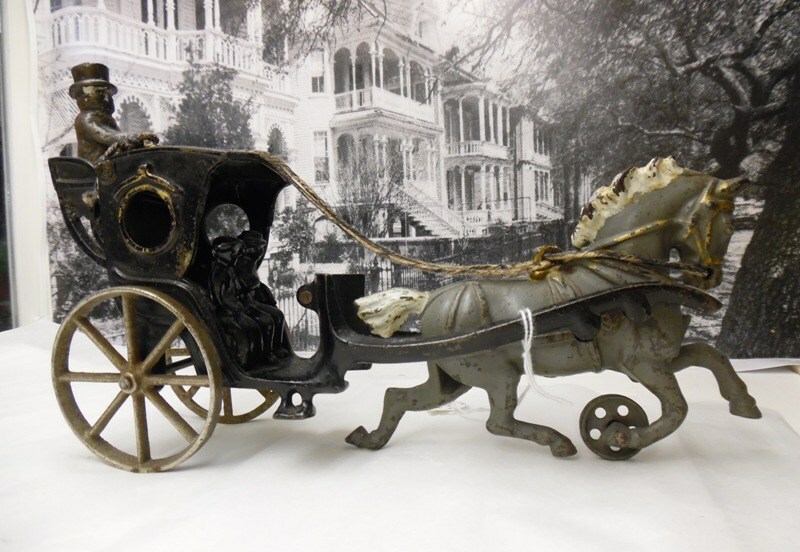 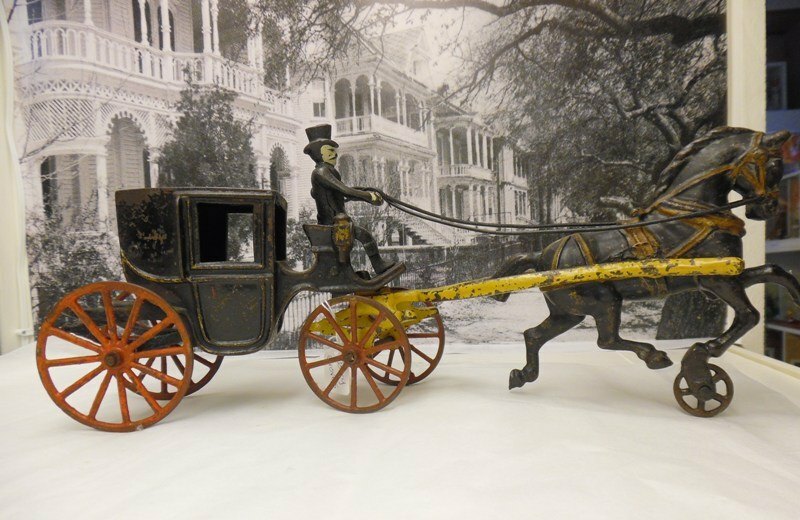 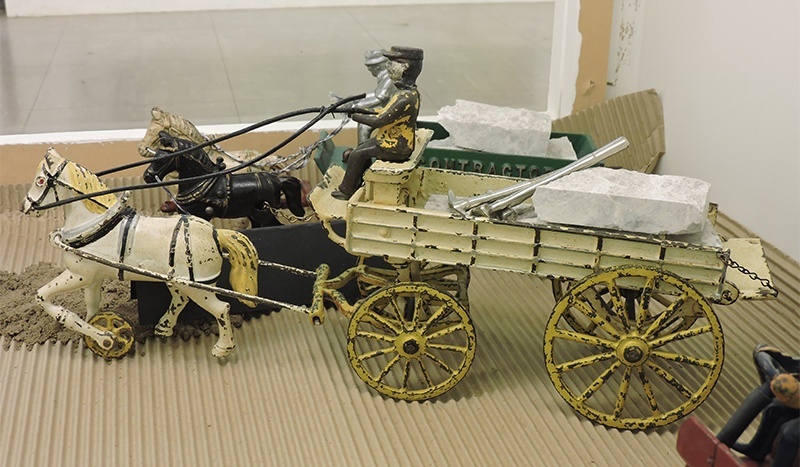 The special Cast Iron Toys exhibit is on loan from Torry and Kay Groves of Livingston. 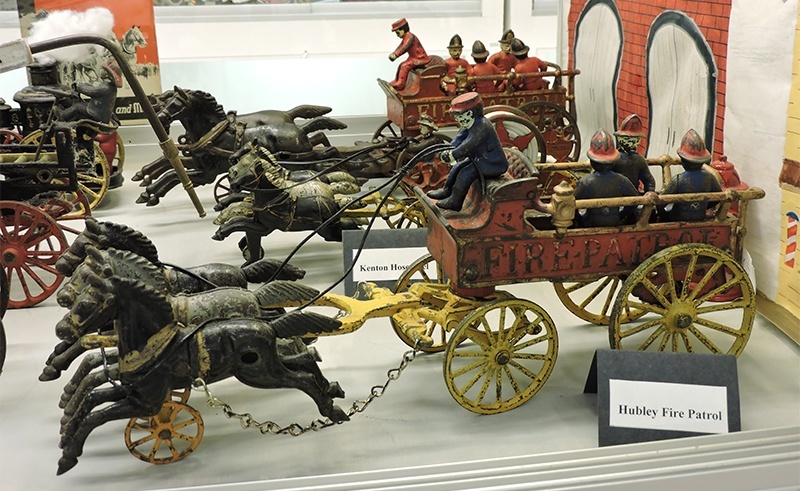 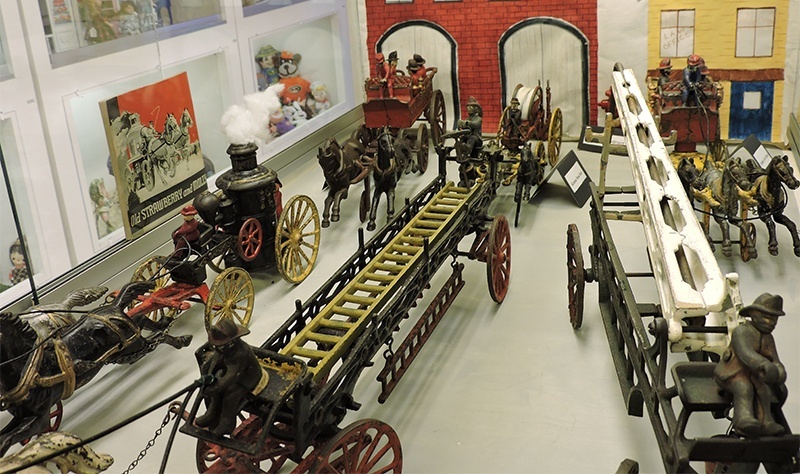 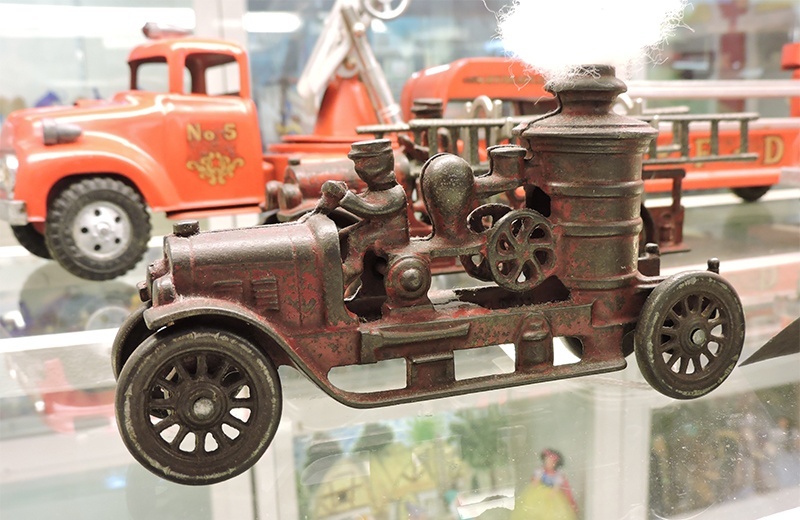 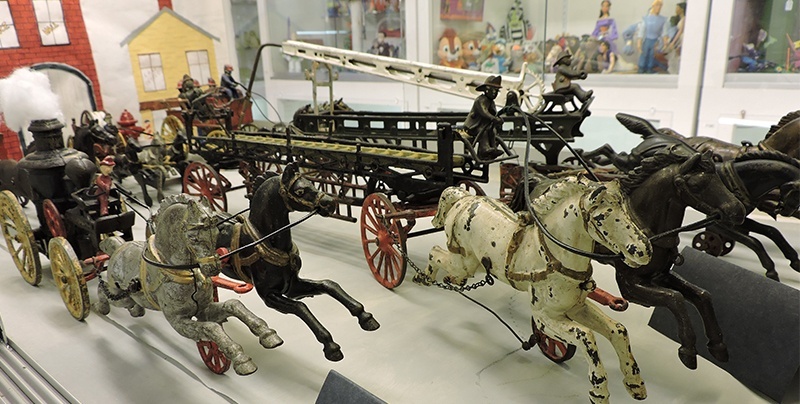 The collection includes horse-drawn fire trucks, trucks, road construction equipment, fire trucks and cars and has been expanded to include 8 carriages and buckboards. 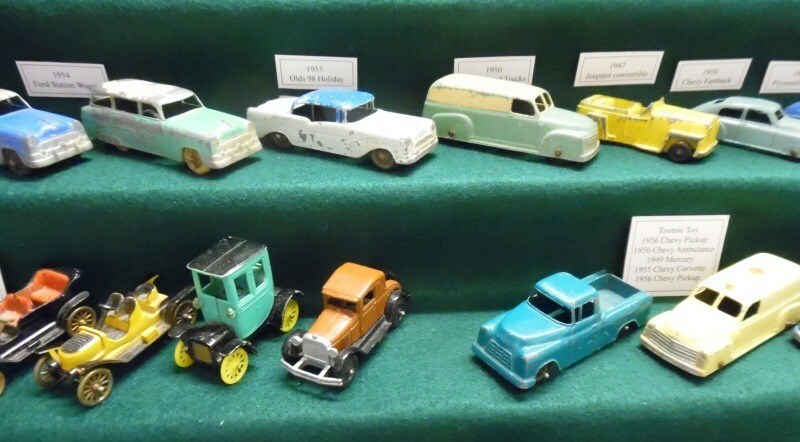 These examples of seldom seen vehicles are fantastic. 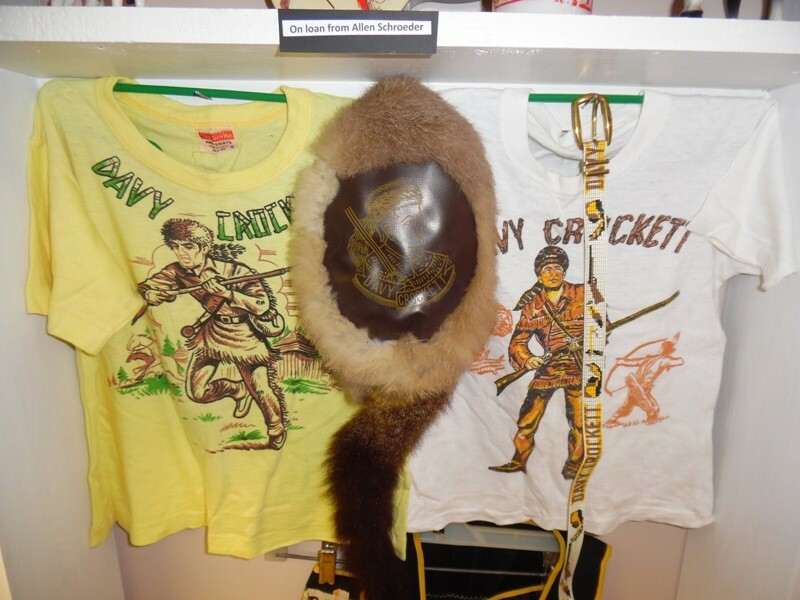 Many thanks to Torry Groves for sharing his collection with the museum visitors! 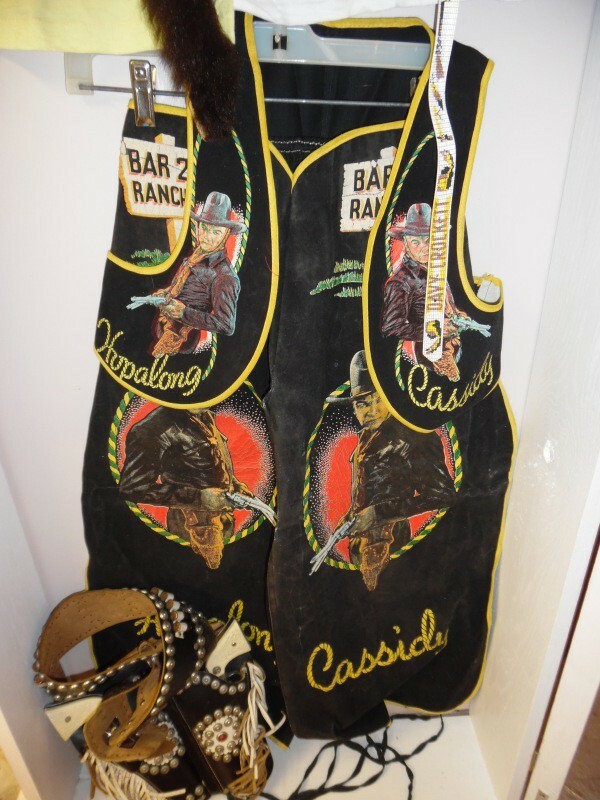 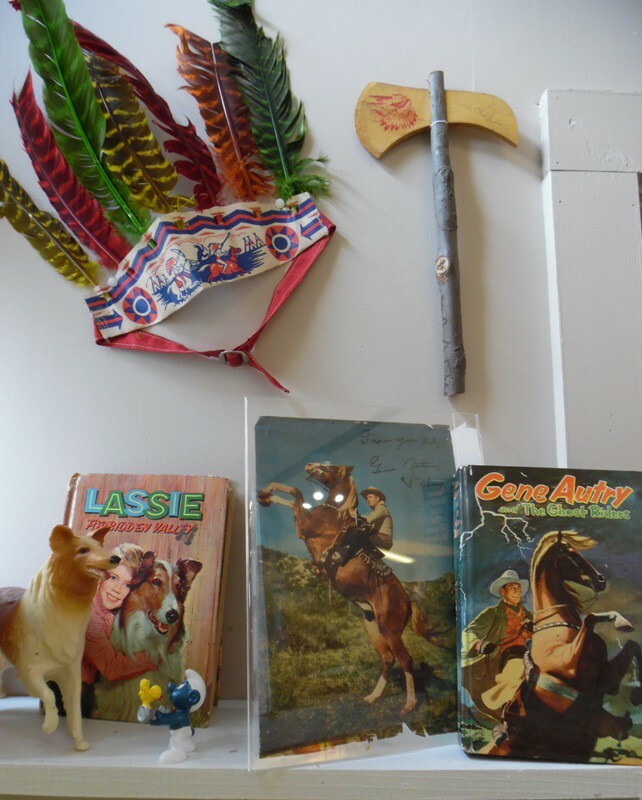 The Old West has come alive in our display of radio and TV Western Heroes. 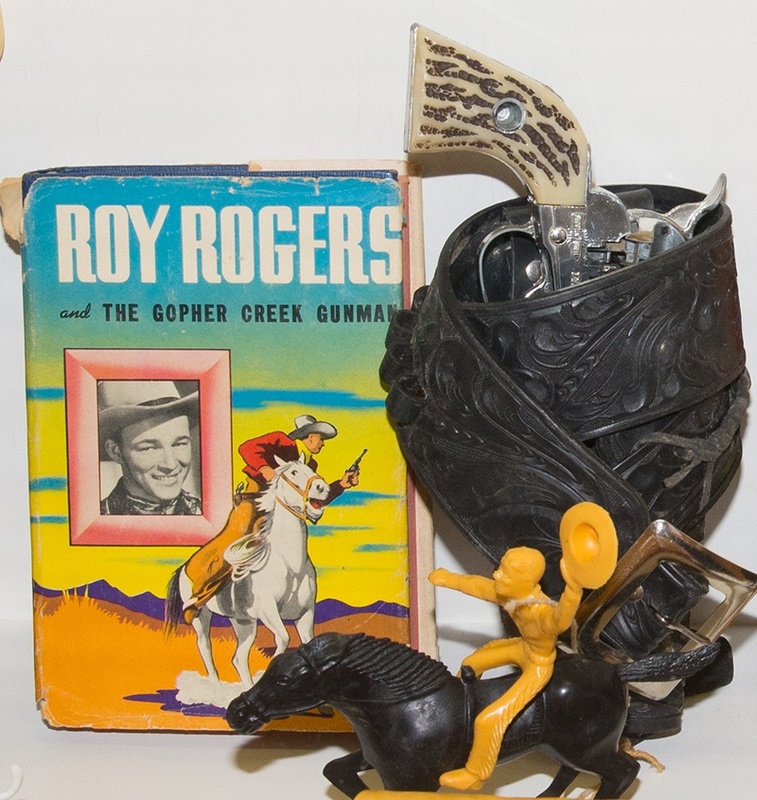 Hopalong Cassidy, Roy Rogers and Dale Evans, Davy Crockett, Lone Ranger and Tonto, John Wayne, and other western themed items bring us back to the 1940s through the 1960s. 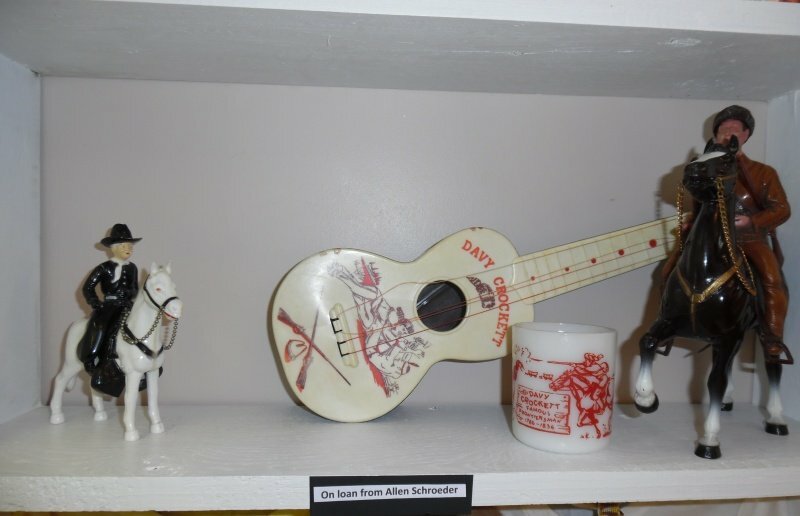 Allan Schroeder, retired director for 3 state historic sites, has shared many of his items with us. 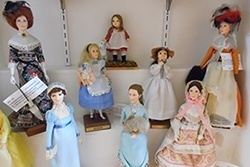 Other unique continuing displays of Dolls and Toys include 736 Barbie dolls in custom-made attire, the 1937 Little Bo Peep doll, large bride doll collection, several cases displaying different types of dolls popular in the late 1800s to 2000; Star Wars, Ninja Turtles, Western heroes, Disney characters, toys used in advertising, Super heroes, American Girl dolls and much more. 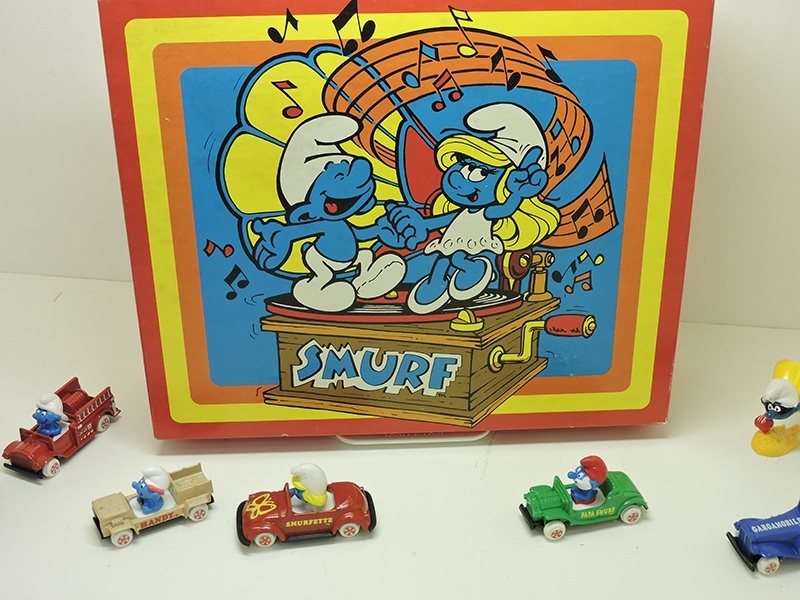 It's a Smurf invasion! 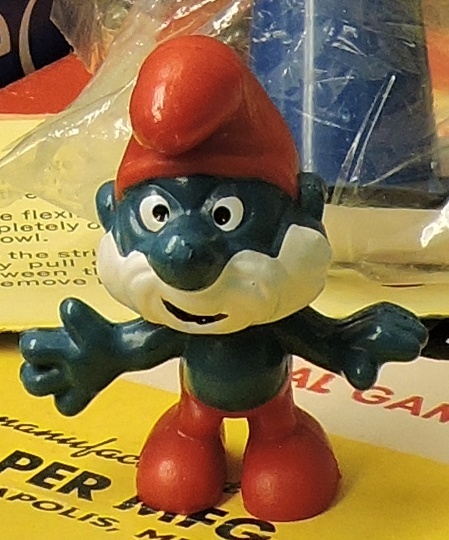 Approximately 70 Smurfs are hidden throughout the museum. 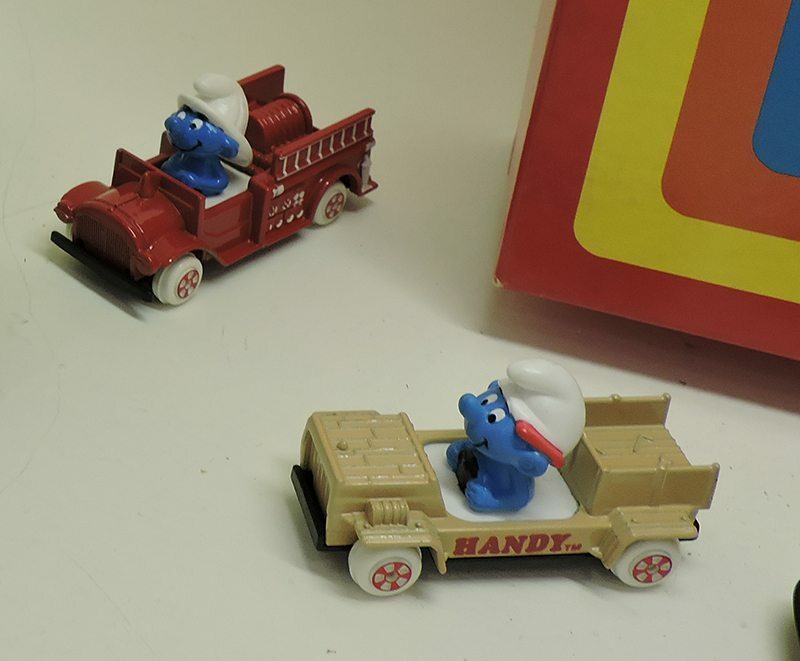 Our challenge is to solve our monthly riddle by finding the right Smurf. 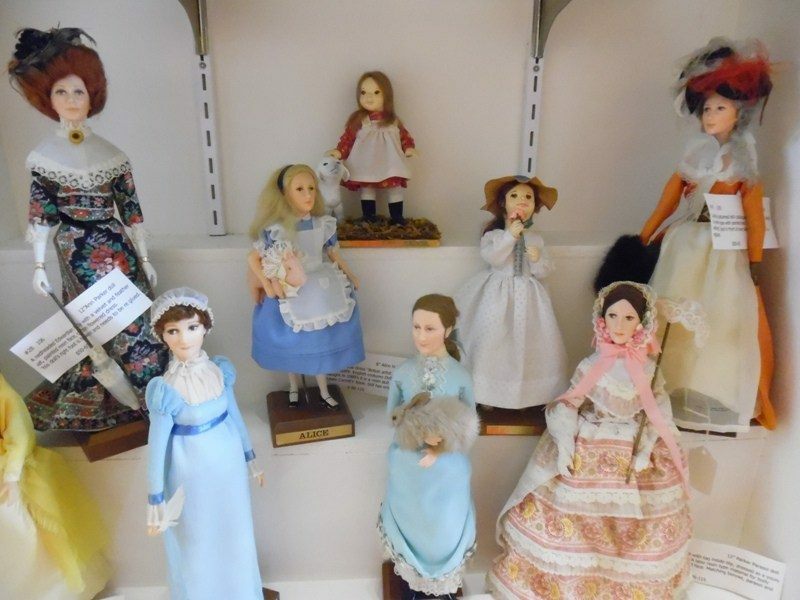 The Fennimore Doll and Toy Museum is located at 1365 6th Street, Fennimore WI, and is open daily from May 23 - August 31, 10 a.m. to 4 p.m. and is open every weekend Sept 1 through Oct 31. 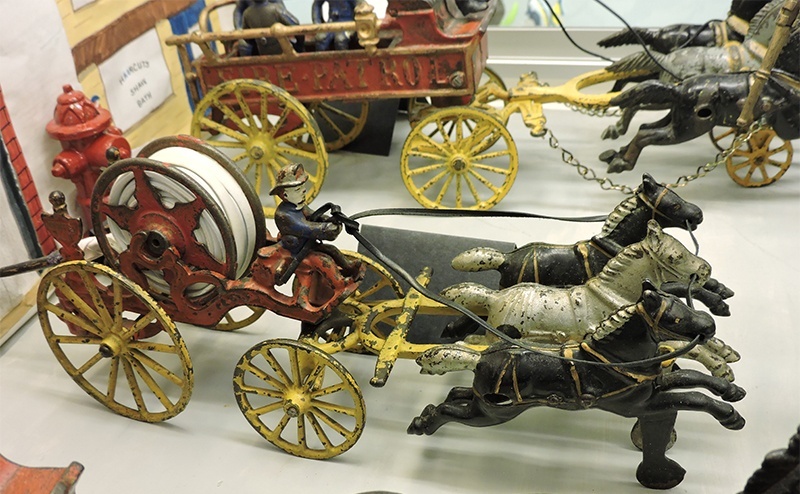 Other dates by appointment. 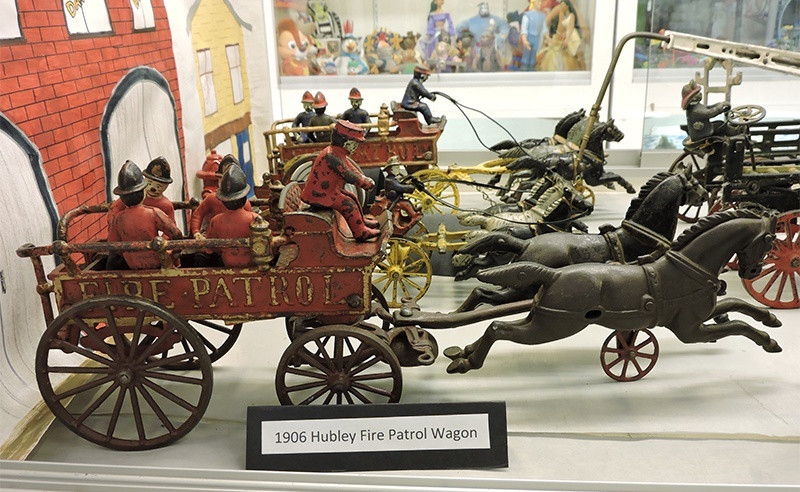 Admission is $3 for adults; $1.50 for students; under 5 are free. 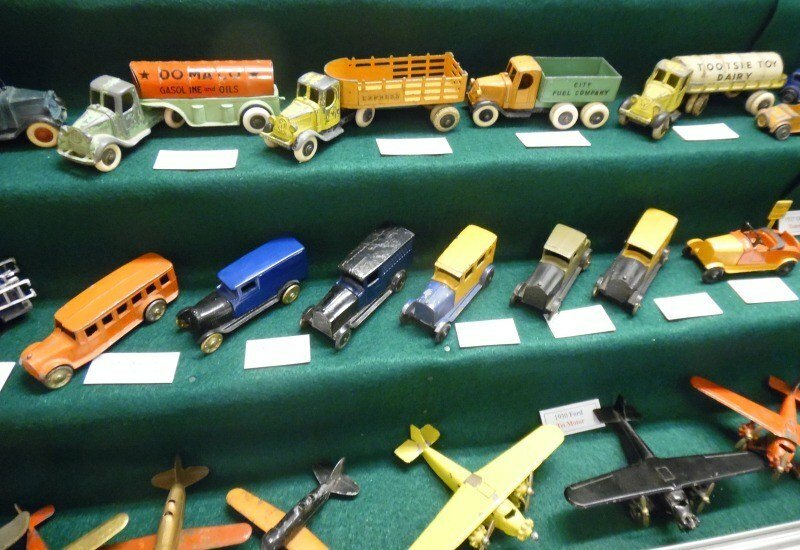 Individuals, families and groups are welcome. 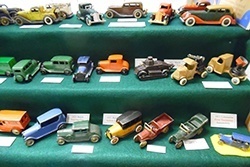 Special programs can be arranged by appointment. 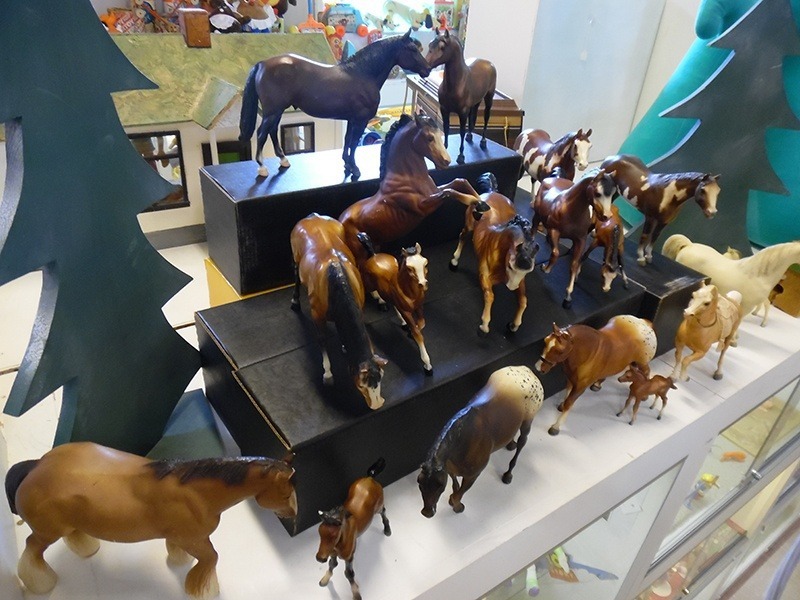 Please call the museum at 608-822-4100 or call Connie at 608-822-7920 for more information.